Kornfeil: “This is the best way to end the test for me"
Today the DRIVE M7 SIC Racing Team concluded the third and final day of the Jerez test in high spirits, ready to race at Qatar. 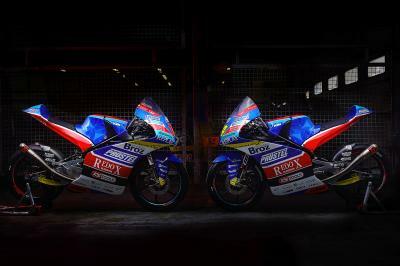 With rain once again forecast for the day, riders Jakub Kornfeil and Zulfahmi Khairuddin utilised the conditions to further improve their wet set up. Making a solid start, Kornfeil quickly set the pace in the first of the day’s sessions. 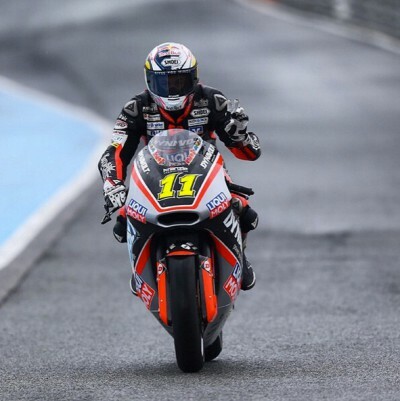 Dicing for the top spot throughout the 1 hour 10 minute practice, the Czech rider looked in good form on his 2015 Factory KTM Moto3 machine. As the chequered flag closed in, a confident Kornfeil launched himself back to the top of the leader board, where he remained until the end of the session as the only rider to break into the 1m59s lap times. 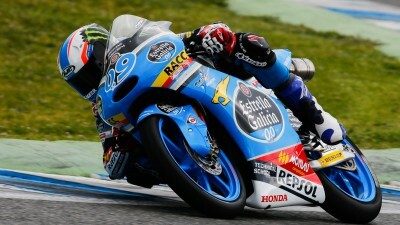 As the second session came to a close the 21 year old again took the lead, concluding his testing in Jerez. Teammate Zulfahmi Khairuddin completed the final day with renewed confidence, having made significant progress with his wet set up. 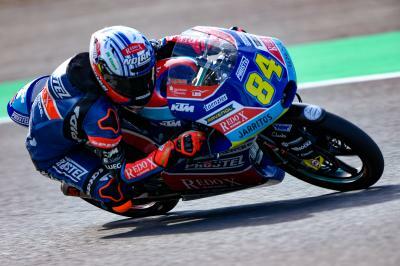 Feeling more comfortable on his #63 bike, the determined Malaysian picked up the pace, finishing the first practice in P9. As the Moto3 field took to the track for the second session of the day, Khairuddin continued to show his strength, temporarily topping the timesheets and concluding his testing at the Spanish Circuit in P3. “We have finished the final three day test here in Jerez. The weather has not been good but we have managed to work through a few of the things we wanted to try. 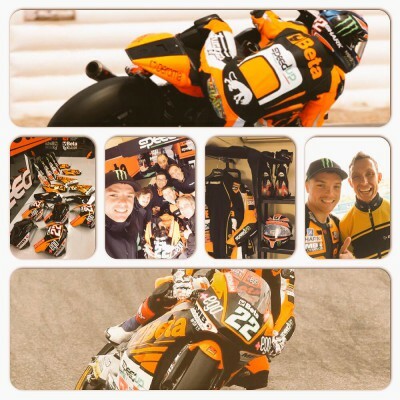 We have done also some good work together with KTM, who have been very helpful to us here. 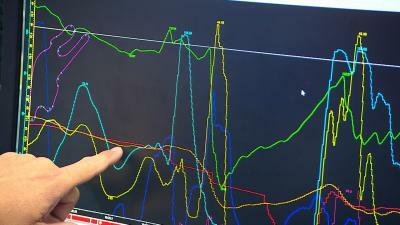 We have also learned from them a couple of things in regards to electronics, so this is good. With these conditions it’s been very difficult to find any kind of setting for the dry; we have just had to work in the wet and make the most of the sessions to try and provide the best bike that we could for the riders and to help them to be comfortable on track. 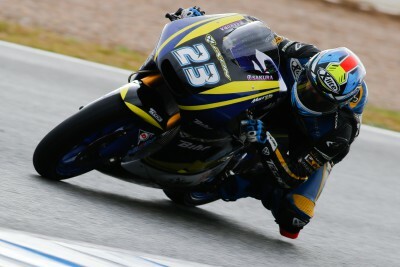 Estrella Galicia 0,0’s Jorge Navarro, in his debut season in Moto3™, ended the final preseason test in Jerez fastest overall. 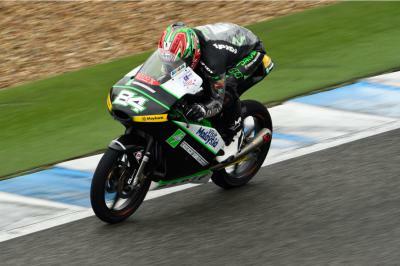 Speed Up Racing’s Sam Lowes finished the rain-affected final preseason test in Jerez on top of the overall timesheets. AB Motoracing’s Karel Abraham ended the final MotoGP™ preseason test in Qatar as the top Open class rider, finishing in 11th overall. The 2015 Moto2™ Dunlop tyre line-up presented by motogp.com's new reporter Amy Dargan. Once again wind and rain greeted the teams as they arrived at the track, for the morning of the final preseason test in Jerez. Jakub Kornfeil ended the first two sessions on top of the timesheets, on the final day of preseason testing in the rain at Jerez. 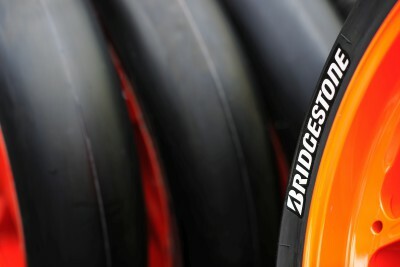 After a successful debut of a new MotoGP™ slick tyre marking system in 2014, Bridgestone has introduced new colours to its tyres for 2015.